Unfortunately, the building is in need of serious renovations, and needs to be made ADA compliant, so for the time being it mostly serves as a storage facility. 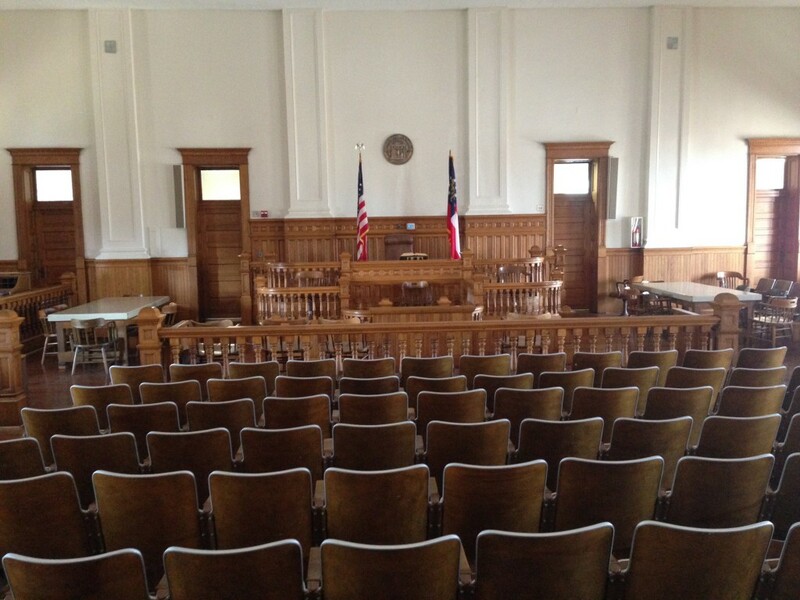 But the courtroom itself remains in great condition (good enough for the filming of Devil’s Knot, at any rate!). Most county business transpires in the Frank Moore Administration and Judicial Center to the west, which was completed in 1992. It does the job, but doesn’t have quite the character of this place. 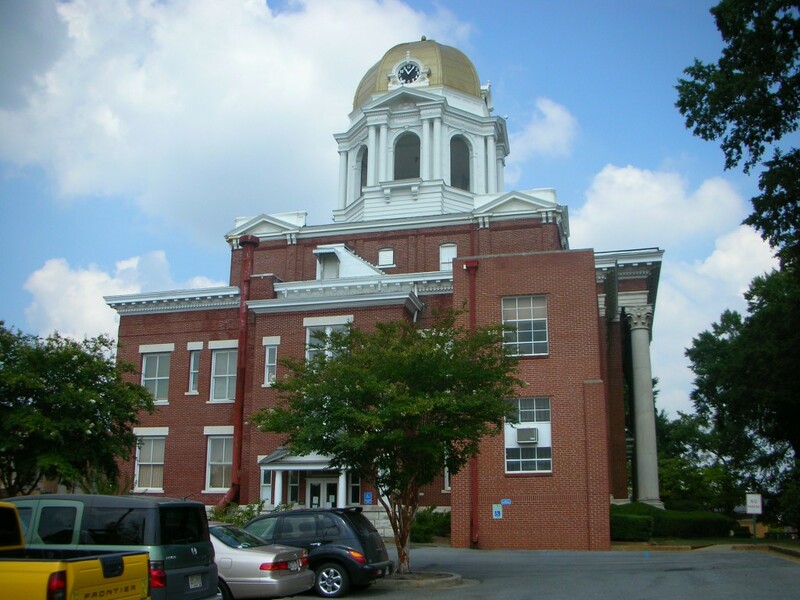 Ms. Henshaw informs me that this gold-dome courthouse, which was built in 1902, was in fact the second courthouse in Cartersville. The first, dating from the 1870s, now houses the Bartow History Museum. They built a new one because that one was too close to the train tracks, and the trials kept getting interrupted by the noise. 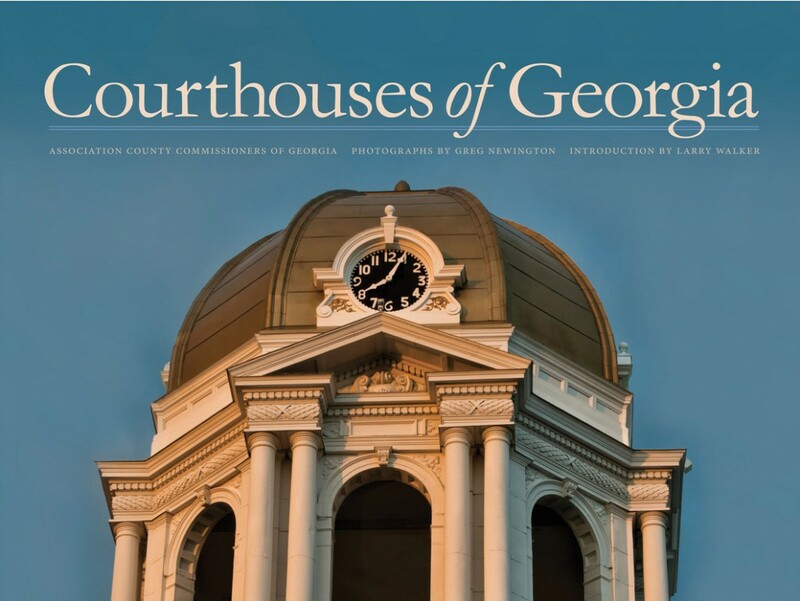 This entry was posted in Architecture, Civil War, Georgia, Local History by jgood. Bookmark the permalink.